Home › Stringed Instruments › Guitar Parts & Accessories › KOKKO Professional .. 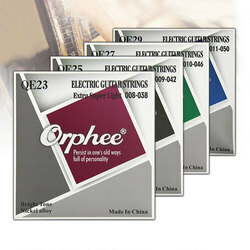 Durable and shiny strings bring great performance. Loud tune and comfortable hand feeling. Special anti-stain film surface finishing, longer service life. Vacuum package enable you to keep it up to 5 years.